How does economics shape what it means to “love our neighbor”? How should theology shape our view of economics? In this episode, Sean McDowell and Scott Rae interact with Dr. Tom Nelson, who is the head of Made To Flourish, a network of pastors and local churches committed to integrating theology and work for the common good. 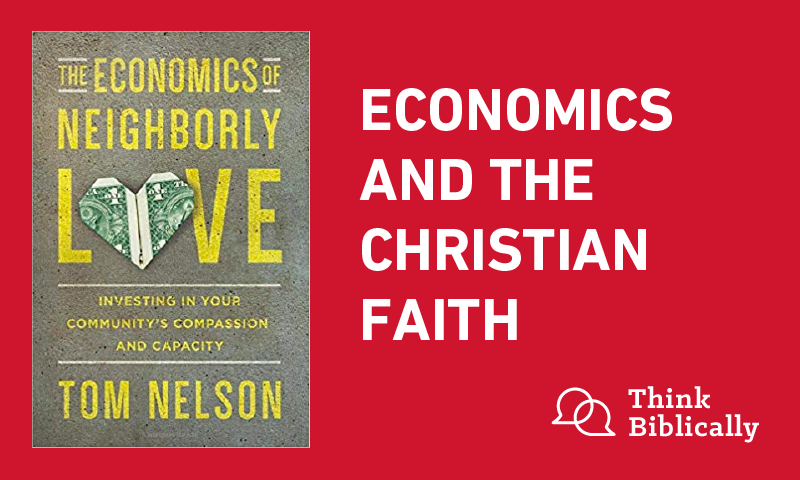 They discuss pastor Nelson’s excellent book The Economics of Neighborly Love. 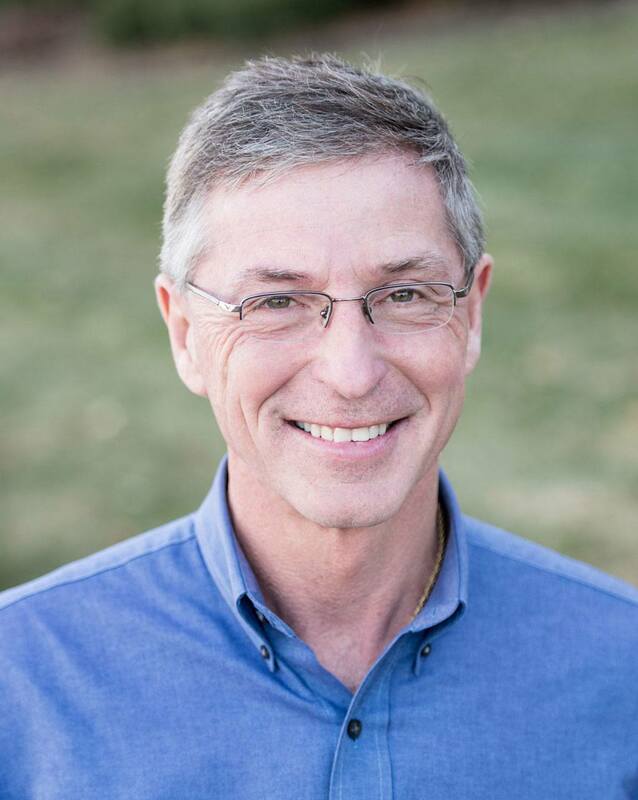 Dr. Tom Nelson is founding pastor of Christ Community Church in the Kansas City area and President of Made to Flourish, a pastor and church network committed to the integration of faith, work and economics for human flourishing and the common good. He is the author of Work Matters: Connecting Sunday Worship to Monday Work, Five Smooth Stones: Discovering the Path to Wholeness of Soul, Ekklesia: Rediscovering God’s Design for the Church, and The Economics of Neighborly Love: Investing in Your Community’s Compassion and Capacity. Scott Rae:	Welcome to the podcast, “Think Biblically: Conversations on Faith and Culture.” I'm your host, Scott Rae, professor of Christian ethics at Talbot School of Theology at Biola University. Sean McDowell:	And I'm your co-host, Sean McDowell, an author, speaker and apologetics professor, also here at Talbot School of Theology. Scott Rae:	We're here today with Dr. Tom Nelson, who is pastor of Christ Community in suburban Kansas City and the head of the Made to Flourish network, which is a network of pastors and local churches committed to a theology of work and vocation and the contribution to the common good. Tom has just come out with a new book that we want to feature today called The Economics of Neighborly Love. It's a really terrific book that we recommend to all of our listeners. Tom, you bring together terms in the title of the book that we don't often see together: economics and love of neighbor. Tell me, how do those fit together, and how did you come up with that combination for the title of your book? Tom Nelson:	Well, I think you're right. We tend to have a real big division between the idea of what economics is and what theology is. And so what I tried to do is to be a bridge-builder between two disciplines that are often separate, but they really are closely connected. And so the neighborly love idea, I think most of it's when we hear "economics," we think of Laffer curves, or supply-and-demand curves, or something like that, but the idea of bringing economics and neighborly love was really important to see that economics tie to God's great commandment in loving our neighbor. And I try to build that case, that thesis in the book, that the great commandment speaks profoundly into our modern economic world. Scott Rae:	All right, I think that's a good start, at least to explain to our listeners how the title fits with the main message you want to get across in the book. The book comes out of your really deep, personal experience, mainly of how you grew up, and not to mention how you pastor, but tell us how your upbringing has shaped you and how it specifically contributed to what you write in this book. Tom Nelson:	What I discovered, as I was working on this book, that it moved beyond sort of a cerebral commitment to a real visceral one. When I wrote the introduction, in fact, I was a pool of tears, because I reconnected on a very emotional level with my own experience growing up in a home that was under-resourced, with a single mom, and feeling once again what I felt as a young boy when I felt the shame of feeling inferior because of our economic impoverishment. Even getting on the bus in the morning, being the poor kid on the bus. So I think how God has used that as I rediscovered the feelings that I had when I faced a context where I was not flourishing economically, and how impacting that was into my heart, my soul, my mind. So I think the book not only brings a good intellectual engagement with these ideas, it just kind of flowed out of my own heart that I want those who are facing under-resourced realities economically to realize how important their life is and how the church needs to connect with that. So I guess in God's economy, my own struggle came through in the book, and it was really heartfelt. I would just say it's a really heartfelt book out of my own experience. It's not just an academic exercise. Scott Rae:	I think our listeners will find out, if you get a copy of the book and start reading it, you'll be hooked after the introduction, because it's a very moving story about how your upbringing so impacted you, and underscores how important the subject is not only to you personally, but also to the church. Now I've been attending churches for a long time, and I can't remember the last time that I heard a sermon that had the word "economics" in it. I mean, I've sort of scrolled back through the hard drive of my memory, and I can't remember the last time I heard preaching or teaching in the local church on the subject of economics. Tell our listeners a bit, how do you bring this discussion of economics into your church as a pastor and in your preaching and teaching? Tom Nelson:	I think it's a common reality that we don't preach on economics. There's several reasons why we don't hear it really as often as we ought to, but the way we bring it in is to bring it in theologically. If there wasn't a deep theological conviction in the text, I wouldn't be preaching on it. So I think most of it is growing awareness that what is economics theologically, we start in creation, right? And so when we look at the Genesis text, we begin to see that, hey, God's design and the cultural mandate is that we cultivate value, blessings in the creative order and once [inaudible 00:04:55] comes on the scene in a community, we exchange that value. And exchanging value is economics at the very core theologically. And then later on we get ways of monetizing that and creating a means of exchange, which is money. So we begin to see how the Scriptures really lay the foundation. I take from the book, I go not from economics first, I go from theology to economics. And I think it's a misunderstanding by many pastors and leaders to not speak on economics and not see the deep connection theologically. And then of course, economics is a complex subject. It often traffics in ideological realities and political realities and sometimes we just don't want to get there because we can be kind of confused and create a sort of a partisanship kind of mindset. But economics is really important and I try to make the case for that. There's probably a lot of reasons why we don't hear it. That needs to change in my opinion. Sean McDowell:	When God speaks in Genesis 1 and commands mankind to be fruitful and multiply, we commonly think this is only about procreation. But you hold the idea that fruitfulness is much bigger. That it includes procreation but it's broader than that. Tell us a little bit about your views and what you explain in the book. Tom Nelson:	This is a new kind of understanding that I missed for so long. When I began to really study the Genesis text, particularly again, in the Hebrew language and looked very carefully at what was there, what stunned me is that the strong emphasis on God as a worker and humans being made as his image bearers and reflecting that are deeply embedded in our work. And we think, for example, like the great cultural mandate in Genesis 1:28, in there it says that God blesses his people and he gives five Hebrew imperative in a row. This is very unusual in the Old Testament text. And it's, if you remember in English, it's be fruitful and multiply, fill the earth, do it and have dominion. These are all brought together, but they follow the idea of being fruitful. That's the first imperative. When we read through the Old Testament, particularly the Torah, the first five books, fruitfulness has two emphases. It has procreativity, that's having babies, and we see that in Genesis 1 and 2, wrapped with marriage. But it also has the sense of productivity and we see that deeply embedded in Genesis 1 and 2. So I think again, we miss what's there in Genesis 2, Adam is given a commission, to what? To cultivate and keep the garden — that's productivity. And then when Eve comes along being a helper. The question is, a helper for what? It's not just to have babies, it's to accomplish this job description. And of course, we see in Genesis 3, when sin and death enter the world, right away, this fruitfulness or the Hebrew word parah, is vandalized, and we see the effect of both procreativity and productivity is profoundly marred. I mean, for so long I've wrestled with, what's the consistency? What's the coherence of Genesis 3 that the curse shows up in both childbearing pain and thorns and thistles? But if we understand the theme of procreativity and productivity, it makes sense ’cause both of those are impacted. And it's carried all the way through the Old Testament, Deuteronomy 28 and so forth. So we need to have a richer understanding of fruitfulness from the beginning. Sean McDowell:	And I think you would argue that we see this in the New Testament as well. Early in your book, you made the statement, and I stopped and just had to think about it for a minute, you said, "Jesus talked more about money, work and economics than we might at first imagined." Tell us what you mean by that and how you see economics more prominently throughout the Gospels than probably we commonly do. Tom Nelson:	Well, I think we have to start with the fact of Jesus' hidden years. We don't often give a lot of attention to Jesus spending 30 of 33 years on this planet Earth as the Son of God. And as the Son of God, he spends 30 years basically in a carpenter shop. He only spends three years as an itinerant rabbi right? So, it's not to minimize that, and the Gospel writers are tracking Jesus the Messiah to the cross, we don't want to in any way minimize that. But we often do not understand the coherence of Jesus spending 30 of 33 years as a laborer, or we might even say, better, as a small business owner. So there are lots of reasons of why it's important not to miss the hidden years. Luke covers it. Mark covers it. But the significance of Jesus coming as the Son of God, incarnating in human flesh and the vast majority of his life not being an itinerant rabbi, not proclaiming the gospel of the kingdom with words but living it out in the workplace has to shape our thinking. And when we begin to think about that, then we begin to see the Gospel writers and Jesus presented in his parables and his teaching, what he models and his practice. You begin to see how central work and economics are in his thinking, and money. So, many people have done research on that but the vast majority of the parables, for example, are embedded in economic life and the workplace, and money. So it shouldn't surprise us. Scott Rae:	Tom, you, throughout the book, make the claim that churches are often disconnected from the economic challenges that people in the church face. Now you pastor in a fairly affluent suburban area in Kansas City. You would think at first glance that the people you serve at Christ Community would not face some of those economic challenges that we might find in the inner city or downtown areas. I suspect that people in your church do face significant economic challenges. Tell us about some of those challenges that people in an affluent community might face, but also, I'd like to hear you just support your claim that churches are often disconnected from the economic life of the men and women and families that they serve. Tom Nelson:	Yeah, I think most churches are in many ways, and I'm going to be charitable about that because every day our congregation wakes up, they wake up to an economic world. And whether you're over-resourced, under-resourced, whether you're looking for a job, whether you're laying a ton of people off, wherever you are, retiree or a student, you are immersed in an economic world. And many times, pastors are insulated from that world. And many nonprofit people are not thinking about that world at the level they should. And so what I think is really important is, we've done a few things, you know we have things like Financial Peace University, often churches help people manage their money well, we are really quick to encourage people to give and have generosity, but we have not given the kind of theological and pastoral care for wealth creation, or entrepreneurship or job training, or dealing with a single parent who's just trying to survive. And what does that mean in terms of access and wealth creation and entrepreneurship? So, I'm just saying, I think we've been blinded to see that the gospel speaks into every nook and cranny of life. And for me, I'll just hit my own examples. I committed pastoral malpractice for my first few years of pastoral life. I was focused on Sunday morning and a good Sunday morning worship service, and running the church, which is an important thing for pastors. But I really wasn't discipling people for Monday and the vast majority of their time. So I think that's the big shift that has to take place, and to me, it was pastoral malpractice. Sean McDowell:	Those are strong words, to say pastoral malpractice. Talk to us a little bit about what you mean by that and kind of how you came to that revelation and even maybe broke it to your church. Tom Nelson:	Yeah, I think the word is right. I mean, I stood before my congregation once I began to look at the Scriptures more carefully, looking particularly the bookends of creation and consummation and reread the Reformers. I began to realize that I had an impoverished theology that led to an impoverished pastoral paradigm that led to impoverished discipleship. So I had to come to an intellectual spiritual conviction that I needed to shift my paradigm. I was deeply committed to discipleship. I think most pastors are. I was just discipling people for a small minority of their life. And so I had to come to grips with that, and I wasn't equipping people. I mean, as a pastor, I am called to equip people to disciplement for life, and I wasn't doing that. So I had to come to that conviction and make the massive changes that require us as a staff and the church to focus more of our energy on equipping people for their Monday life. And of course, whether paid or not paid, a vast majority of our congregation’s time is spent in a workplace setting and adding value through our work so I had to make those shifts. It is pastoral malpractice. It wasn't intentional. It came out of an inadequate theology that shaped and misshaped my formation in my practice, and it impacted our congregation. So I don't think that's being uncharitable. I think that's exactly what the Scripture calls us to do, and I wasn't being faithful to that. And I've made some adjustments over the year, and I think I can have more confidence that I can stand before God one day, Lord willing, and hear, "Well done good and faithful servant." And I want my brothers and sisters to do the same. Sean McDowell:	I really appreciate your honesty and vulnerability on this in itself really speaks just lengths for myself and for our listeners. Do you think, you described it in your experience, that it might have been like just a theological misunderstanding? Do you think that's the heart of the reason why people don't make this connection is they just have poor theology? Could it be that it's just too much effort? What are the reasons why a lot of people don't make the connections that you're talking about? Tom Nelson:	Well, the pastor, I think, and to my fellow pastors and congregational leaders and Christians that we're interacting with, I'm going to be very transparent too, Sean, it's like I think that we get bombarded. I'm going to put my pastor hat on, but so many things that come at us, especially if you're in a larger church context, the latest this, the latest that, the latest this. And many of us I think are just tired of the latest church growth strategy or the latest fad. I am. And so I think sometimes people hear faith, work and economics, or more in the faith and work movement, and they think it's a fad. And it's like, what's next, and I'm tired, where's the program, and where are people selling all the books? And I mean there's some of that. So I think we have to start with what the Scripture teaches. And I wouldn't be involved in this conversation with such passion and heart and prayer if I didn't believe from Genesis to Revelation that the Scriptures teach this, and it profoundly shapes pastoral ministries. Scott Rae:	Could you spell that out a little bit, Tom? Because I've heard you say to me, privately in conversation, that you were, as you put it, “theologically malformed” in how you understand the big story of the Bible. Can you spell that out a little bit further? Tom Nelson:	Yeah. Again, I share my story, not that it's everybody's story or to overcorrect, in needed corrections. So I want to make sure you hear that. But from my particular story, and I've shared, I had wonderful teachers. I grew up in a wonderful Christian home. I had an outstanding theological education. I'm grateful for all of that. And maybe I missed some things in my own dense mind but I was malformed because, for me, I did not spend the kind of time looking carefully at the interplay between biblical theology and systematic theology. I was taught a rich systematic theology that gives me logical consistency for the text and I'm grateful for that. But what I didn't have on the same level was a biblical theology that gave canonical coherence that connected the whole Scripture. I mean, I think most of us believe, I trust, that every word in Scripture is inspired. All 66 books matter. They all tell a story. They all are a common Ultimate Author. But I hadn't thought of those connections. And so when I began to really study more carefully the whole canon and the whole flow of Scripture, that's when things became more clear to me and more compelling. I had coherence as well as logical consistency. So those of us who had been trained in theology, it's a wonderful gift. But I think for me, I had some blindness because I did not spend the kind of time I needed to, particularly on the bookend. If we don't understand at a deep level Genesis 1 through 3, I believe the gospel is impoverished, and I believe our understanding of the rest of the Bible is impoverished. It all matters greatly. But we really got to get a handle on that I think. And for me, I did not have that. I've had to do some catch up on that and hopefully I'm more faithful now to the scriptural text. Sean McDowell:	One of the things that I really appreciate about the book that you go into is just redeeming the value and purpose and meaning of work. And you talk about, for example, on page 27, that when we make things, we reflect God and express love for our neighbor. And then quote, "No matter our age, God created us to be creative, to serve others and to work." I think that's very liberating for people. What would you say on the flipside to people who say they work but don't really have the capacity to be creative? Maybe they flip burgers. Maybe they just take out the trash. Maybe they have just some repetitive job and don't have the capacity to be creative. Where is the value in that work theologically speaking? Tom Nelson:	Well when I think we look at Scripture, the idea of work, first and foremost, has to have a biblical definition versus a cultural definition. I think our wrestling with work that doesn't seem to have great dignity, that doesn't seem to have great creativity. And certainly we live in a fallen world. So work in a mixed bag of the good, bad and ugly. That's true any place. Whether we're flipping burgers or running a corporation. Fundamentally, work is making a contribution. It's not even being creative. I mean creativity and innovation is a part of cultivating a garden but it's contributing to God's good world. So work has to be seen, first and foremost, as contribution not compensation. I'm not minimizing compensation but if we understand it from cradle to grave we were created to contribute to this world. And then we understand that we are not an isolated individual, we were created with community in mind. You bring those together — work and community — and again, you have the foundation of economics, right? And you have the foundation of your neighbor and loving your neighbor. So yes, I sympathize with many people. In fact, that's the common experience through humanity, right? It's the vast number of people in the world don't have opportunities to work in something they love. It's an economic necessity. So there are good things in the economic necessity but to understand that many times our passions, what we love, do not align with our economic engine. And I think that's important to understand that God can use our work in ways that we don't even imagine for the good of his glory, for our neighbors and to form us spiritually. I could go there for quite a while but one of the things we're really missing about work is not only its intrinsic value, and it's a place of worship, but it's a place of spiritual formation. So much of our spiritual formation takes place in work that's difficult and sometimes seems meaningless. So I'm saying if we understand spiritual formation takes place not just in spiritual disciplines, as important as they are; not just on Sunday morning, as important as it is; but spiritual formation takes place in the vast majority of our life in the work we do in a fallen world. Then even when I'm flipping burgers, okay, or even when I'm in a job that I don't like, that is part of God's sovereign way to form me into greater Christ-likeness and serve his mission in the world. It opens up the meaning and beauty of work in ways that I think almost any kind of work, unless it's immoral, can do. Scott Rae:	Tom, you throughout the book, maintain that vocational faithfulness, or the faithfulness of productivity and contribution that comes out of Genesis 1, is really an essential part of someone’s faithfulness to Christ overall. Do you mean by that, that as a part of someone’s discipleship and spiritual growth that we should expect vocational fruitfulness and productivity? Is that what you mean by that? Spell that out a little bit. Tom Nelson:	Yeah. What I'd like to say there is that when we connect Genesis to Jesus’ teaching in all the Scripture, what we notice is this theme, the Old Testament is parah, the New Testament is primarily karpos is truthfulness. So this theme of fruitfulness goes all the way through Scripture, and Rabbi Jesus who is Messiah Jesus and John [inaudible 00:22:27] discourse and John 15 deeply connect the dots here. If you remember, before he goes to the cross, he says to the disciples, "By this is my Father glorified that you bear” — and it's really strong — “and bear much fruit." Well, what fruit does Jesus have in mind? And for many of us, I think, fruitfulness is only people coming to faith, people sold in eternity. But when we follow the whole Scripture, fruitfulness, and even Jesus’ teaching of the parable of the talents in Matthew 25, in an eschatological way that finding some managers who were being commended for their faithfulness are also commended for their fruitfulness. So abiding in Jesus and the fruitfulness Jesus has in mind, if we understand it in broader context, is at least three or four nuances. One is intimacy with Jesus. The fruitfulness of intimacy. There's also the fruitfulness of productivity and neighborly love that flows throughout the whole biblical text. What I'm trying to say, in Luke chapter 10, which if you read the book, or you're reading the book, the thesis is really around Luke 10. And it's the parable of the good Samaritan, when Jesus gives a parable after describing what the great commandment is. And what we see in the parable, it's not only the theme of compassion that the good Samaritan had, but the economic capacity to care for that brother in need. So we unpacked the contrast of economic injustice that begins the parable and economic generosity that ends the parable and this is the thesis for the book. The thesis of the book out of Luke 10, and neighborly love, the great commandment on which calls us to fruitfulness and love is this, that when we have compassion without capacity, we have frustration. When we have capacity without compassion, we have human alienation, that's the picture of the rich fool. But when we have compassion and capacity, we have human transformation. We have neighborly love. Both compassion and capacity matter. The capacity that Jesus was talking about in Luke Chapter 10 is an economic capacity. Because the good Samaritan through his work in a monetized economic system in the first century had economic capacity to take a stranger to an inn and give the American Express card and cover his needs. It's a stunning story. So the great commandment is not just about compassion; it is, but it's also about capacity. Both of those are vital for us to fulfill the great commandment and to love our neighbor. Scott Rae:	Tom, this is really helpful stuff. I think especially connecting the importance of economic capacity with the ability to fulfill the mandate to love your neighbor. We've been with Tom Nelson today. Tom, thank you so much for joining us. The Economics of Neighborly Love is his new book that's out. We'd highly recommend it to you. And before we close, we want to just highlight a passage of Scripture that we think speaks to some of the subjects that we've been talking about today. As Paul talks about in Romans 13, beginning in verse 8, "Let no debt remain outstanding except the continuing debt to love one another. For whoever loves others has fulfilled the law. The commandments you shall not commit adultery, shall not murder, shall not steal, shall not covet, and with any other command there be was summed up in this one command: to love your neighbor as yourself." This has been an episode of the podcast, “Think Biblically: Conversations on Faith and Culture. To learn more about us and about today's guest, Dr. Tom Nelson, and to find more episodes go to www.viola.edu/thinkbiblically. That's biola.edu/thinkbiblically. If you enjoyed today's conversation, give us a rating on your podcast app and share it with a friend. Thanks so much for listening and remember, think biblically about everything.